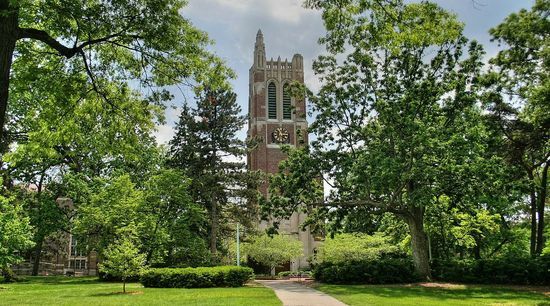 Credit: Jeffness via Wikimedia Commons (CC BY-SA 2.5)Michigan State University recently received a $4.1 million gift from from alumnus Robert K. Burgess. The funds will target the Institute for Entrepreneurship and Innovation in the Eli Broad College of Business and as a result rename the space the Burgess Institute for Entrepreneurship and Innovation. Burgess has the kind of deep business background we've often seen in these campus entrepreneurship gifts, about which we've been writing about quite a bit in recent months. Nurturing young business leaders is of great interest to a certain set of funders. Armed with a bachelor of science in packaging from Michigan State, Burgess began his career at General Electric, and later served in managerial and leadership roles at companies like Touche Ross & Co. and Plante Moran. Currently, Burgess is managing partner with Glengarry Partners, and is past president and chief executive officer of Pulte Corporation, a $7 billion residential housing and homeowner services corporation. Burgess doesn't appear to have a formal charitable vehicle, but we do know that last decade he gave $2 million to the Institute for Entrepreneurship and Innovation. His latest gift should be seen within this context, and as building on previous work at his alma mater. Other campus entrepreneurship gifts we've examined have also had this quality. For instance, Irwin Zahn's Moxie Foundation has targeted entrepreneurship at San Diego State University, establishing the Zahn Innovation Center at SDSU, and later adding a Zahn chair, professor, and prize at SDSU. Donors who are happy with how their money is being spent can spell good news for continued giving, and this might be especially true for business-minded donors working in this nascent space. The Burgess Institute focuses on advancing "research on entrepreneurship, venture capital and private equity,[building] knowledge-sharing networks with business stakeholders across the world, and [stimulating] economic development in Michigan," among other things. As Burgess puts it, "I feel very passionate about equipping MSU students with the best practical skills and tools to prepare them for entrepreneurial and creative problem solving opportunities when they graduate. The endowment is geared to expanding initiatives that enable students to experience issues relevant in today’s dynamic and ever-changing business and social environment."